NASA’s Jet Propulsion Laboratory presents "On a Mission," a new podcast that explores a single mission to outer space. Season 1, which launches October 29, is all about the InSight mission to Mars. 5...4...3...2...1...0...and liftoff of the Atlas V, launching the first interplanetary mission from the West Coast, and NASA’s InSight, the first outer space robotic explorer to study the interior of Mars. It’s a risky part of the mission, so it’s probably one of the riskiest six-and-a-half minutes of the mission. It’s certainly exciting. It is a little frightening, we want to make sure that we’re successful. We do everything we can to make sure, but we’re always keeping our fingers crossed. The spacecraft is set to turn off at a certain time. So we got messages down saying "Yeah, I'm leaking, I'm leaking. I've got to go now. I'll talk to you in eight hours." It's like, oh man. When things go beautifully it looks easy, but it's really not easy. Any kind of exploration is just not easy or guaranteed, ever. Eight stories, one mission to outer space. 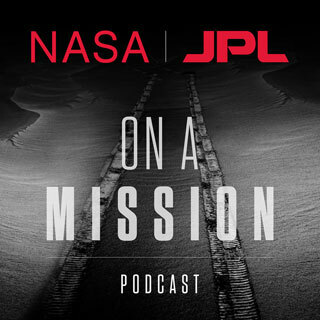 “On a Mission,” a new podcast from NASA’s Jet Propulsion Laboratory, launches October 29. Video: Mars in a Minute: How Do You Land on Mars? 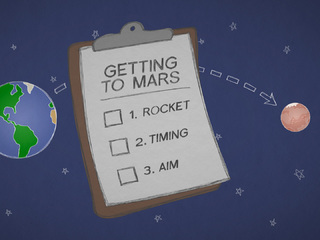 Video: Mars in a Minute: How Do You Get to Mars?